laremont, California is more than a sleepy college town with tree-lined streets, craftsmen homes and sweeping mountain views. 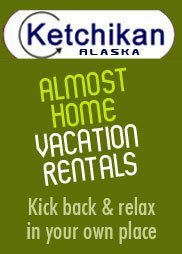 It is also an exciting and eclectic place with great restaurants, pubs, boutique shops, museums, an awesome botanical garden, hiking, biking and more. A friend and I snuck away to Claremont recently and had so much fun we are already planning a return. Our getaway began at the mission-styled DoubleTree by Hilton Hotel Claremont, where we checked into a spacious suite overlooking the pool, Jacuzzi and the property's lush interior. 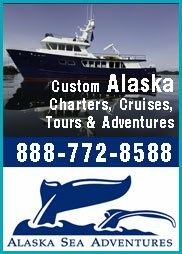 The room featured two queen beds, a 37-inch flat-screen TV, high-speed internet and a large office desk. Besides comfortable rooms, the boutique hotel also boasts a fitness center, a full service day spa, and a gourmet restaurant called The Orchard, which serves up California-Mediterranean fusion cuisine for lunch and dinner and a fabulous traditional buffet breakfast. The restaurant also has a full bar. Located on historic Route 66, at the foothills of the San Gabriel Mountains, the DoubleTree hotel makes a perfect home base for touring Claremont. It is steps from a dinner club with dueling pianos and comedy called PianoPiano; and a few blocks from The Village, where the heart of the city beats. To get to The Village we took the hotels free shuttle, which serendipitously dropped us off in front of Viva Madrid, an authentic Spanish restaurant teeming with tasty tapas. I heard of a great Spanish restaurant in Claremont, but I didn't know where to look until the driver opened the door and there is it was. Our Viva Madrid meal began with Gamba al Ajillo, a favorite tapa in Spain, which features shrimp cooked with garlic, white wine, parsley, lemon juice, and extra virgin olive oil. Next we devoured Espárragos con Salmon, a delightful dish of asparagus wrapped with smoked salmon. Continuing down the extensive tapas list, we split a Spanish salad with carrots, beets, fennel, and cucumber in a pomegranate dressing. We then enjoyed various tapas with fried squid with aloli sauce; steamed clams in a spicy paprika sauce; and mussels with onions, garlic, tomato and garlic sauce. 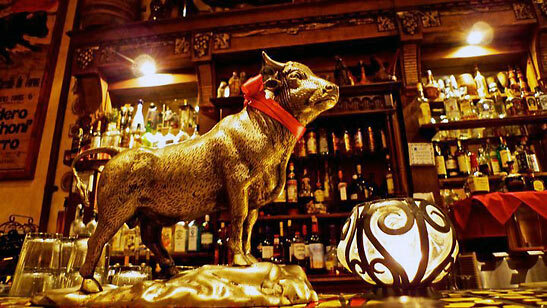 While eating we sipped Estrella de Galcia, a smooth, refreshing Spanish beer, and admired the restaurants Spanish-styled décor, with large, old wooden front door, wooden chairs, a faux balcony, and walls lined with a bulls head, swords, sculptures, mirrors and paintings. 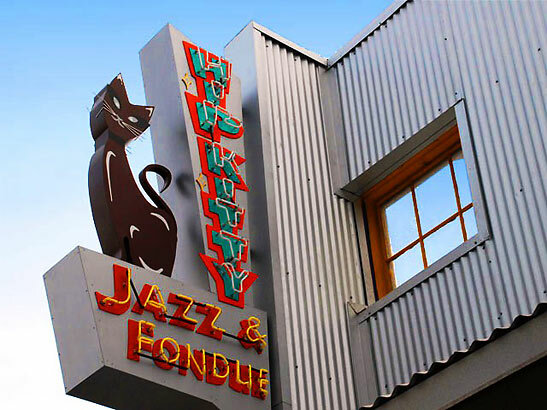 The 21 and over Hip Kitty offers a retro menu with a wide selection of cheese, chocolate, and meat and seafood fondues in addition to a lounge menu. The place also has live music every night. During our visit, a group called Sean Amato & Friends were belting out a fantastic set of classic rock, American Standards and original music. The next morning, we enjoyed a delicious buffet breakfast at the hotel and worked out at the fitness center. We then lounged by the pool until heading back to The Village for a visit to the Folk Music Center and Museum, where we played guitars and ukuleles and learned about the rich folk culture that has become a part of Claremont. From here we visited the Raymond M. Alf Museum of Paleontology, the only paleontology museum located on a high school campus in the nation. The museum has two large circular exhibition floors: the Hall of Life and the Hall of Footprints. The Hall of Life traces the history of life on earth through exhibits spanning the first cells through human civilization. 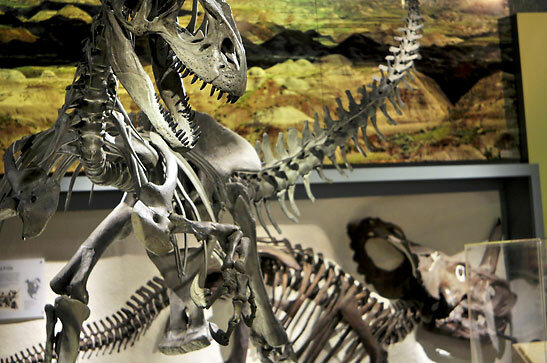 Highlights of this space include the oldest known single-celled and multicellular organisms; dinosaur skulls and skeletons, including the horned Centrosaurus, the fierce predators Tyrannosaurus and Allosaurus, duck billed dinosaurs, a giant alligator skull fossil from the Amazon, and a large collection of fossils from saber toothed cats, titanotheres, and three-toed horses. The Hall of Footprints is the largest, most diverse collection of animal footprints on display in North America. On display here is one of the most spectacular fossil footprint collection in the world, as well as the oldest fossil elephant (proboscidean) footprints from North America, tracks of the giant bear-dog, Amphicyon, with a mounted skeletal cast, and rare footprints from extinct spiders and scorpions. We concluded our getaway at the Rancho Santa Ana Botanic Garden. Home to the 10th largest herbarium in the US, the gardens house more than a million plant specimens, almost half of which are California plants. Since it was summer, we got to see pink desert willows and yellow Palo Verdes mix with the tawny browns, soft grays and greens of the many grasses, shrubs, and trees. 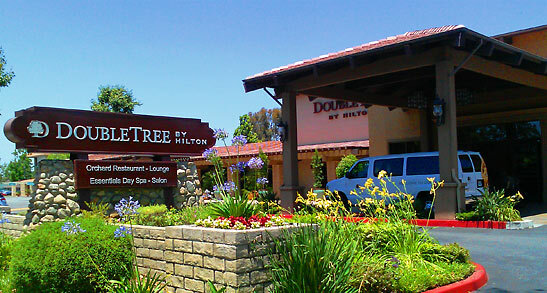 The DoubleTree by Hilton Hotel Claremont is located at 555 W. Foothill Blvd, Claremont, 91711. 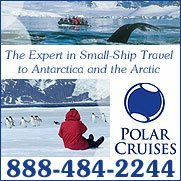 For more info, call 909-626-2411 or visit: www.doubletree3.hilton.com. 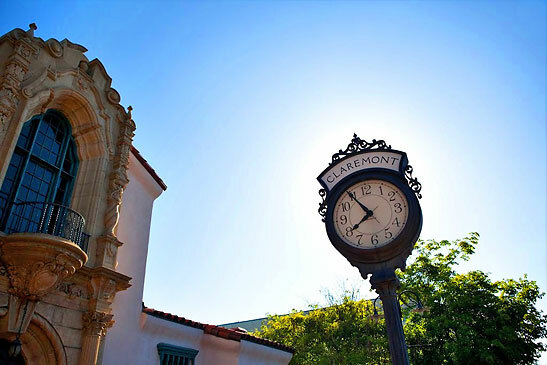 For more information on visiting Claremont, visit: www.discoverclaremont.com.